Conference attendees will have the opportunity to obtain updated information on useful topics for the development of energy efficiency projects including: energy policy and regulation, tax incentives, successful projects and case studies, technology and information on best practices to develop waste heat recovery projects. The first day until noon, the sessions held will include presentations on recent developments on energy policy and regulation and tax incentives, current perspectives for potential use of residual thermal energy in Colombia. A panel will be held with the participation of experts from the private sector and representatives of the public sector where a discussion will be held on the potential, possible barriers, sources of financing and the benefits for the productive sector when developing waste heat recovery projects. During the second day, technology solutions and successful industrial projects will be presented. At the end of the day a discussion panel will be held to discuss perspectives and opportunities for such implementations in Colombia. Auditorium for a plenary session with a capacity for 200 people and two auditoriums for specific topics sessions with capacity for 90 people each. 8:00 - 8:30 Un mejor uso de la Energía para el ahorro energético en sistemas térmicos (Ing. José luis Froján / Ing. Pablo A. Erbino - SAACKE). 9:00 - 9:30 El modelo de Servicios Energéticos para el desarrollo de proyectos de aprovechamiento de calor residual y corrientes residuales en procesos (Edgar Botero García I.M Ph. D. MGM Innova Energy Services). 11:30 - 12:00 Los chillers de absorción como integrarlos al proceso. 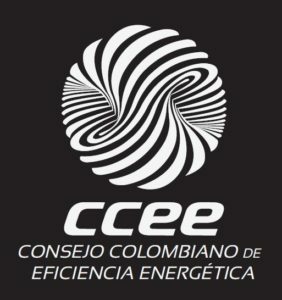 16:30 - 17:00 PANEL DE DISCUSION: los avances tecnológicos al servicio de la competitividad en Colombia. ¿Que se necesita para adoptarlos? CAFAM Floresta – Convention center - Sauces room. Av. KR 68 Calle 94A, Bogotá.